A Return to the Underhive! About 150 years ago, sometime around 1996 or 1997, some friends introduced me to a couple of games that would have a big impact on how I viewed gaming. The first was a little game called Blood Bowl. 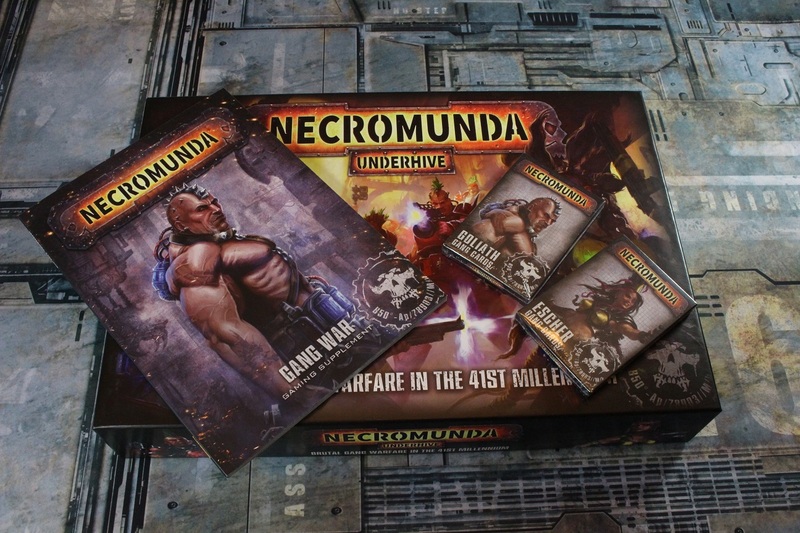 The second was Necromunda. I remember being blown away by the concept, the setting, the minis, and all the cardboard terrain that they managed to cram into the box. Blood Bowl may have prompted my first attempt at painting minis using real painting techniques, but Necromunda inspired me to my first attempts at building terrain, and that quickly became my favorite part of the hobby. Not long after, I moved to another city and lost touch with any groups that were actively playing Necromunda. The game got put on the back burner for me, but I held on to my Delaque gang knowing that I would paint them and play the game again one day.